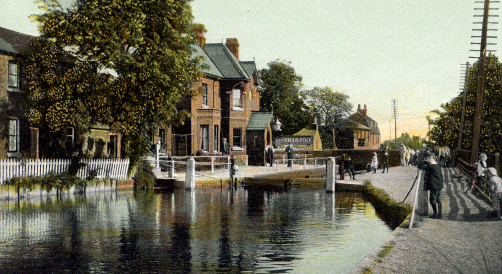 This was the centre of the management of the Lee Navigation. The Lee Conservancy offices were built here in 1907 on the western side of the river, below the lock. They served until recently as an office for British Waterways. On 12.1.1780 it was “Resolved that the following Locks be repaired with all convenient speed Viz. 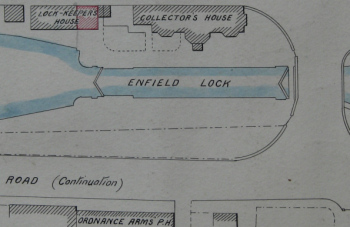 … Enfield Lock, Enfield Half Lock, Piggotts Lock, Cooks Lock, Boltons Lock, Stonebridge Lock, Tottenham Lock, Lee Bridge Half Lock, Hackney Marsh Brick Cistern Lock And It Is Ordered that the Surveyor do repair the same as he shall find them absolutely necessary” (NA Rail 845/5). Beardmore's ideas included double locks in this plan of 1863. 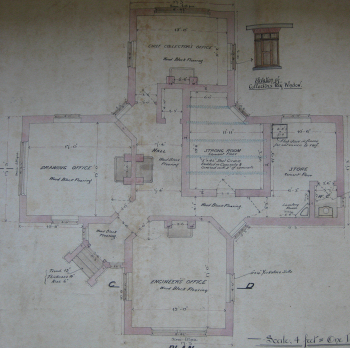 On 20.4.1883, the lock house was insured for £150, although it was noted that it was “away" from the Collector’s office. (as can be seen on P754 below) (NA Rail 845/23). Despite Charles Tween's signature on this plan, it was Joe Child's proposal (and hope) in 1886. Sadly the Conservancy Board disagreed with him and insisted that he repair the sides of the old one. 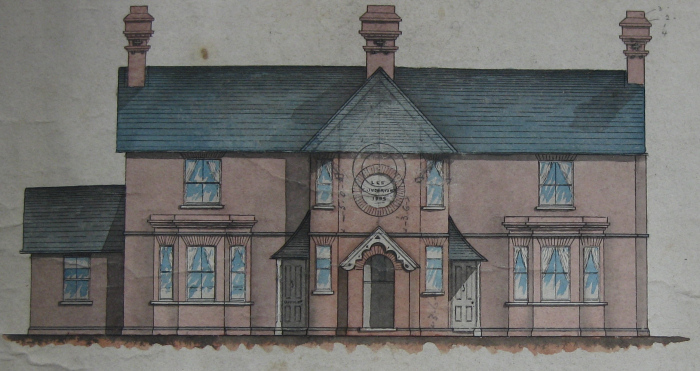 Charles Tween's signature was also on a plan for ornate new collector's houses at Enfield Lock in February 1886. However, the Board obviously did not agree and those that were built in 1889 were rather more utilitarian. Charles Tween was also pressing for the new offices to be built at Enfield in the Conservancy Yard below the Lock. 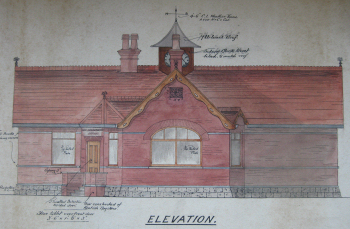 On 20th September 1907 he commented in his report "It will be remembered the Board approved the plans for building new offices at Enfield some long time since, but as the late Clerk (Mr Corble) informed the Board "that they had no money" the work has been postponed. * The foundations were laid about three years ago. I should be glad if the Board would now consent for the work to proceed. These offices have been designed so that if at any time the Board wish for other offices, they can easily be added by lifting the roof and building them above." * This might have been a tongue-in-cheek dig as a year before, when Mr Corble died, it was revealed that he had mis-appropriated £9,400 of the Board's money! The new offices were built and bear the date 1907. They have been extended at the right hand end to provide extra office accommodation. 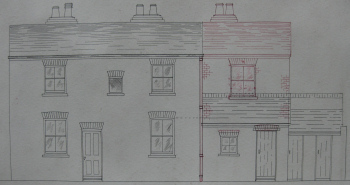 Plans were drawn up in 1907 to extend the lock keepers house by adding a bedroom above the existing kitchen which had previously been a single storey with a sloping roof. The two w.c's remained from the original building on the right hand end. 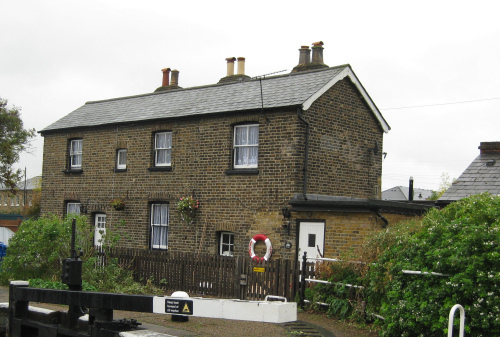 The lock house today, clearly showing the extension built a hundred years ago. As a member of a collecting society in the Royal Small Arms Factory for our wounded soldiers and also President of the Finance Committee for the Edmonton Hospital who provide comforts for our wounded, I have been desired to write and ask you if you have such a thing as a motor boat capable of holding, say, 50 to 100, say, which could be let for the use of wounded soldiers to have a trip down the river, say, as far as Broxbourne or Rye House. They have, as you are no doubt aware, motor bus rides and all that kind of thing, but it has been suggested that a ride on the water would be a change and very much welcomed by our wounded comrades. We understand you have a motor barge which would be very suitable, or, if not, perhaps you could fix us up with some thing that you think would meet the occasion. We should be extremely glad if you could help us in the matter, as we are anxious to give the wounded men a change and a day out sometimes. If you agree to this, of course whatever man you send in charge we should be prepared to meet his expenses or any incidental expenses in connection with the lending of the boat. 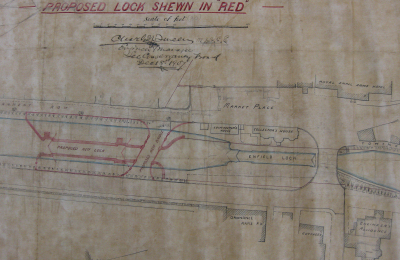 The new lock was finally built in 1922 - this is the site plan for the works. .Appointed at £4.1.0 per week. 7.10.1938 Mr A F Wilcox …had been guilty of a serious breach of discipline. Appointed at £3 per week with 12/6 per week in lieu of a house. His expenses to cover his actual fares by train, tram or omnibus.